Fabrics like Suiting, Trouser & Shirtings created by Donear come in a wide variety and range meant for Menswear & Womenswear. We manufacture and supply a unique collection of Polyester Blended Shirting Fabrics.These fabrics come in standard grey color with soft texture.Our fabrics are colorfast, have high tear strength and last for longer time. With the help of our expert team members, we have been able to provide Cotton Polyester Blend Fabric. 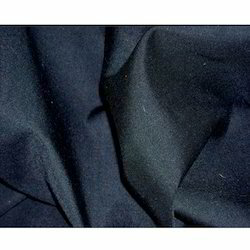 We manufacture and export blended fabrics. The manufacturing process is carried out under strict quality control measures so as to make the products flawless. The product range is available in different colors and sizes as per the requirement of the customers. driven by a vision to achieve significant growth in the industry, we are engaged in providing a wide range of polyester blend fabric. We are a leading manufacturer and supplier of Polyester Blend Fabrics. We are a leading Manufacturer of printed poly chiffon fabric, poly chiffon fabric and chiffon fabric from Surat, India. We supply all kind of blended fabrics namely Grey polyester / Viscose, Grey cotton / Linen, Grey rayon / Linen.